Friends and family, thank you for visiting. This cause is very dear to us, and we appreciate all the support! Together we can make a difference! 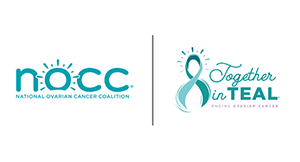 It's that time of year again where we participate in the National Ovarian Cancer Coalition's (NOCC) Walk to Break the Silence. We continue walking as a family in memory of my mother, Terry Frankel, who passed away 10 years ago. It's especially a wonderful time for the kids to ask questions and learn more about Grandma Terry! We are committed to helping raise awareness and funds in hopes of one day finding a cure for ovarian cancer. No one deserves to lose a mother, spouse, sister or grandmother at such a young age. Anything you can give would be a big help! We've done such a great job in the past and hope we can continue to reach our annual goal. In memory of my sister and your mother! Thank you for your continued efforts. I know Mom is proud.